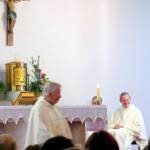 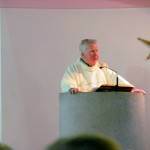 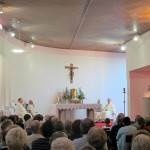 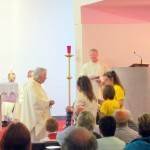 St Cooey’s Oratory, Portaferry, was packed to capacity on the evening of Thursday 31st July 2014 for a special Mass to celebrate the 40th Anniversary of Fr Jim Sheppard’s Ordination to the Priesthood. 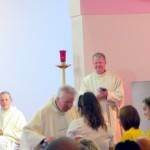 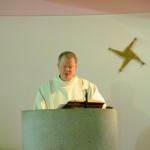 Fr Jim was ordained on 7th July 1974. 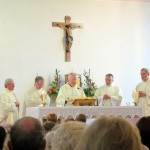 Fr Mulholland, Fr Magee, our own Fr Neeson and, newly ordained, Fr Dominic McGrattan joined Fr Sheppard to concelebrate Mass. 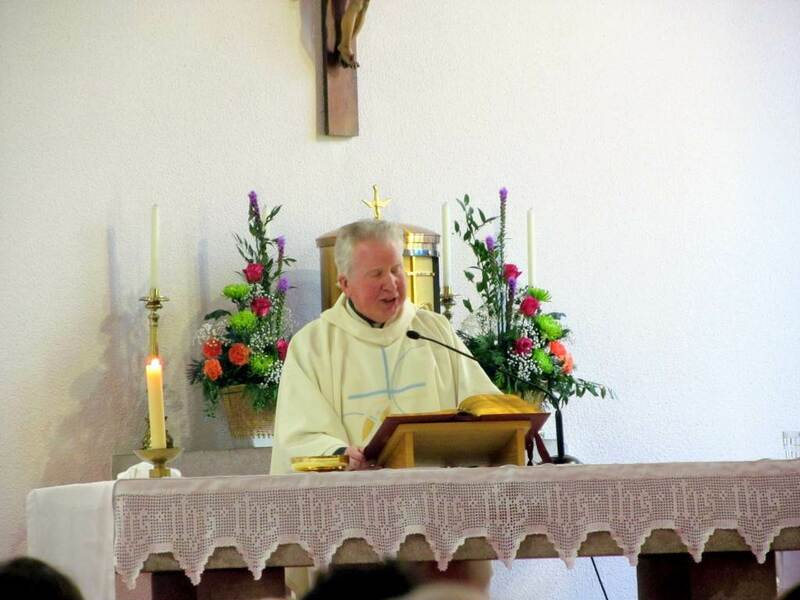 A large number of parishioners from the Parish of Ardkeen, where Fr Jim was a curate for a number of years, also joined the congregation and the musical accompaniment for the evening was provided by The Ordination Choir who came together again especially for the occasion. 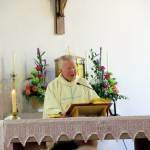 After Mass, refreshments were provided in The Market House.